Audio content—everything from traditional podcasts to Facebook’s newly introduced Live Audio feature—is a niche medium growing rapidly as technology becomes more ingrained in our lives. For example, I recently wrote about how AI and voice search have teamed up in the form of Amazon Alexa, changing how I put items on my shopping list, find answers to cooking questions, and get the weather forecast. I don’t just use audio content, either. My colleagues and I also create it, producing a variety of shows that are a combination videocast/podcasts including CMOTalk, DigitalTransformation Talk, Future of Work Talk, and the Marketing Mash, to name just a few. It’s clear I value audio content, so I can see why brands are eager to jump into this medium with both feet. However, creating audio content is one thing. You’ve still got to market it. Let’s explore the rise of this channel and offer audio content marketing tips you can use to make your efforts—and your voices—go further. Gartner recently predicted that by 2020, 30 percent of web browsing sessions will be conducted without a screen, citing that “. . . vocal interactions extend the utility of web sessions to contexts such as driving, cooking, walking, socializing, exercising, and operating machinery. As a result, the share of waking hours devoid of instant access to online resources will approach zero.” That’s powerful. There are a variety of audio content applications, from digital assistants like Siri and Amazon Echo to IoT-connected devices in homes and, now, vehicles. Podcasts are still particularly effective from a marketing standpoint, with a two-fold reach potential. 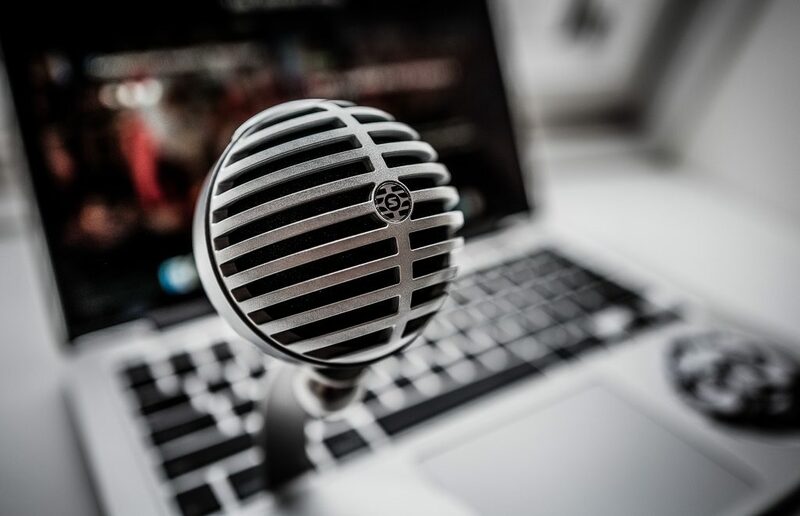 Brands can advertise on podcasts that target their desired audience—a recent study, in fact, found sixty percent of consumers said they preferred to purchase from companies that advertise on their preferred podcasts. Or, organizations can create branded podcasts to share their expertise on a topic while bolstering their content marketing initiatives. Still skeptical that consumers tune in to podcasts frequently? According to Pew Research Center, the percentage of Americans who reported listening to a podcast within the previous 30 days went from 9 percent in 2008 to 21 percent in 2016—more than doubling. I expect this number to continue to grow. While it’s clear the demand for audio is on the rise, this content can sometimes go under-marketed. Let’s look at how to prevent that. Because it’s hands-free by nature and highly portable, audio is perfect for consumers who like to get their content on-the-go and don’t always have time to digest video. If that sounds like your target audience, how do you know how much to invest in audio content creation? While certainly valuable, Andy Seibert, chairman of The Content Council, said in a Marketing Dive article that audio is still “relatively cool in the overall marketing list,” advising that audio should make up about five to 10 percent of most marketing budgets. The good news is that money can go a long way, especially because audio content is relatively cost-effective to produce and distribute. That does not, however, mean you can slack on production quality or marketing approach. Like traditional content your brand produces, audio content should always be timely, engaging, and—here’s a big one—marketed to your target audience. If you don’t get the word out and let your customers know what you’re offering and why they should tune in, they’re not likely to listen to what you have to say. For podcasts in particular, it’s critical to have a long-term strategy with uniformity in both structure and theme. Consider, for example, creating a series rather than one-off episodes, and make sure to keep each show to a digestible length. Like any content marketing initiative, the key to excelling at audio content is simple: Know your customers, deliver value at every turn, and integrate your efforts across channels for maximum traction. One brand doing this exceptionally well is Patron. They launched on Amazon’s Echo last June on “National Tequila Day,” a move that effectively turned Alexa into users’ personal bartender. Clever, yes. But it’s more than that: In conjunction with the voice service, Patron also released an interactive cocktail lab that allows participants to create profiles, watch how-to videos, and more—just one example of using a targeted group of consumers’ penchant for audio content as a springboard to drive growth. As a marketer, you have a lot to consider when it comes to the rise of audio content, besides how you’re going to frame your next podcast series, or allocate your digital marketing spend. Dig deeper. Ranking for voice search, for example, requires your content to be conversational and question-oriented. In the world of voice search, keywords still matter, but not as much as key phrases. Ask yourself: Is your site optimized correctly? If you’ve already entered the audio area, where does it rank on your hierarchy of marketing channels, and how does that relate to your target audience? What strategies are you using to market your audio content? If you’re not there yet, will 2017 be the year you embrace audio, and if so, what is your strategy?